This Mobile Computer Desk with LCD Pole Mount has all the features you’re looking for. You can attach your LCD monitor onto the LCD pole mount which can accommodate up to 30” VESA standard LCDs with either the 75x75mm or the 100x100mm hole pattern. 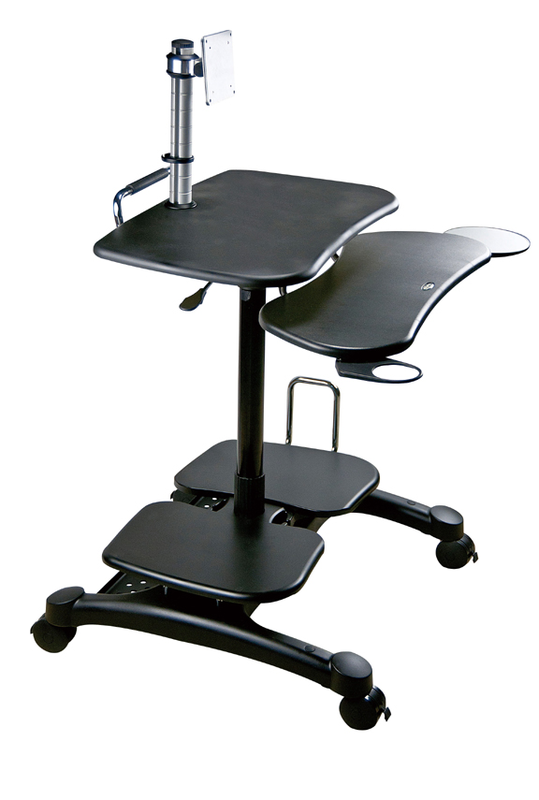 The gas spring lift allows for easy height adjustment for sitting or standing. The durable base has four locking casters to lock your mobile computer cart in-place and ensure stability during use. This Popdesk also features a retractable mouse tray, a cup holder, and a cable management system. 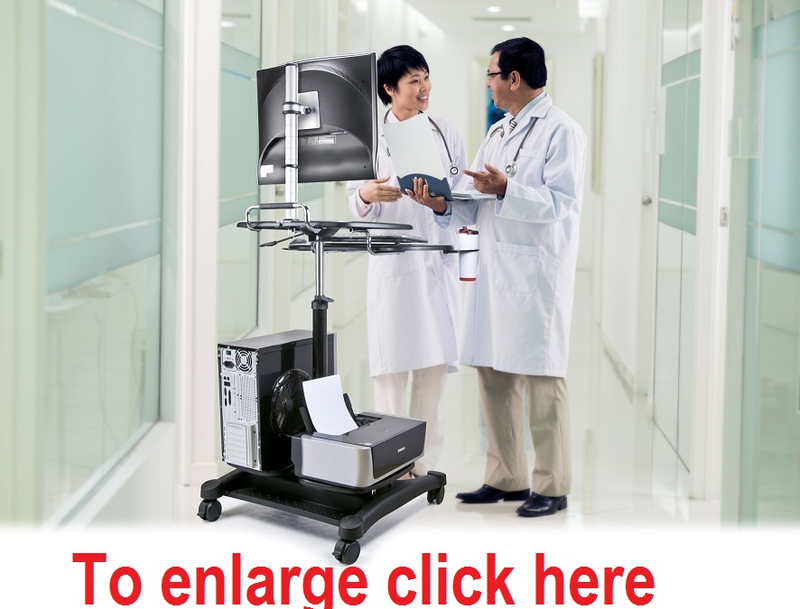 This full featured mobile workstation is ideal for hospitals, libraries, home, office, schools, banks, surgical centers, radio and TV stations.